The Serengeti and Southern Tanzania are Africa's great expressions of wilderness as safari reserves stretch for tens of thousands of square kilometers. 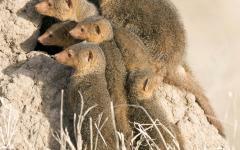 There are hardly any other visitors here; it's just you and the continent's great collection of animals. With five days in the Serengeti and three each in Ruaha and Selous, journey into the wildest and untouched of safari destinations. Exclusive and iconic, it's a safari adventure into Africa's unknown. 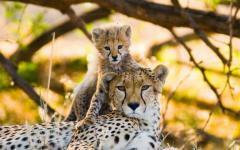 Safari destinations dot the African landscape as reserves and parks provide a home for the great mammals of the continent. 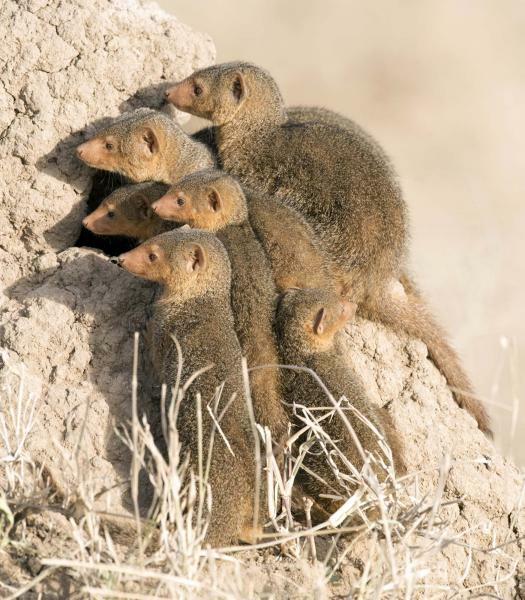 These destinations are not all the same; some are small and compact, protected areas that maintain a diverse collection of animals. Some are bigger than most countries as large stretches of wilderness exist where nature's rhythm has never been interrupted. Many parts of these giant national parks and reserves remain a mystery as they are simply too big to have been fully documented. Escape into these destinations, and it's rare that you will encounter other tourists or safari vehicles. In some senses, it feels as if you are alone. 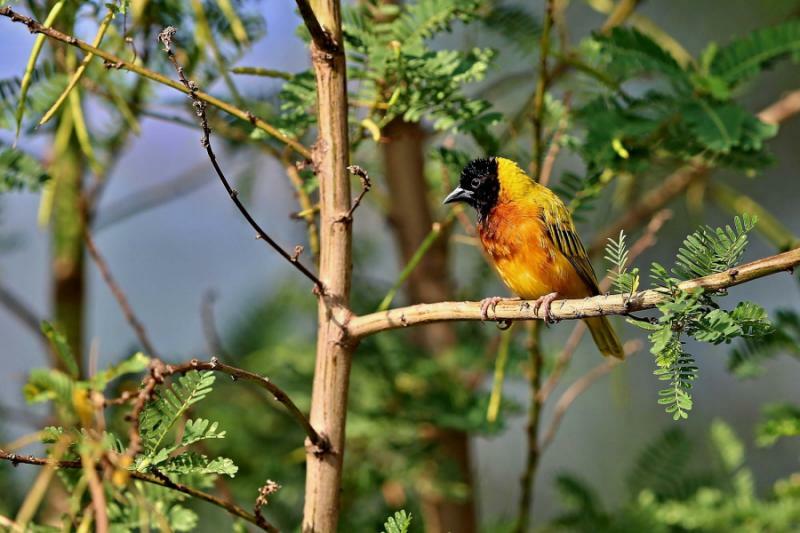 But you are never lonely, as across the tens of thousands of square kilometers you will find nature at its most dramatic, a lost world of wildlife that always provides an exclusive safari experience. 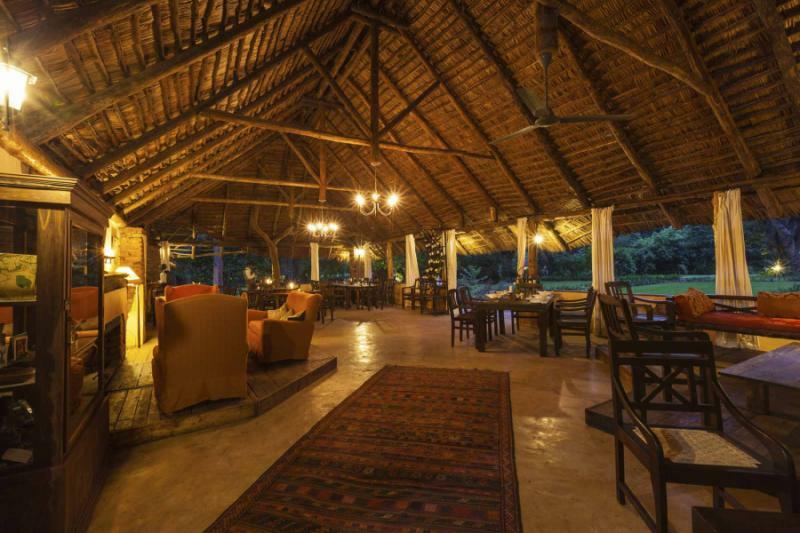 This handcrafted safari itinerary visits three of Africa's largest reserves and parks. You are immersed in vivid expressions of wilderness on a rugged adventure to the most untrammeled parts of the continent. Iconic Serengeti is well known for the great wildebeest migration features in countless documentaries, but with two million mammals rampaging around, there's always a baffling feeling of witnessing a personal wildlife show. 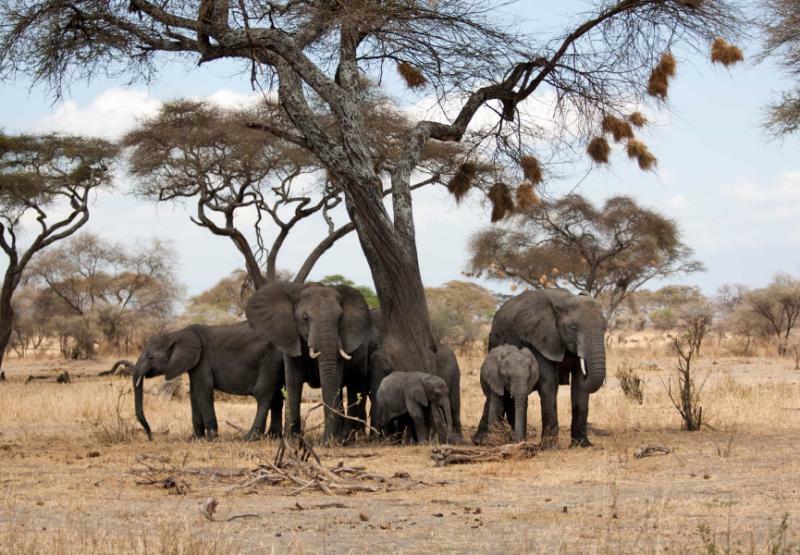 Ruaha National Park covers a similar size to the Serengeti, larger than many European countries. This phantasmagorical wilderness provides a special three days with hardly another tourist in sight. 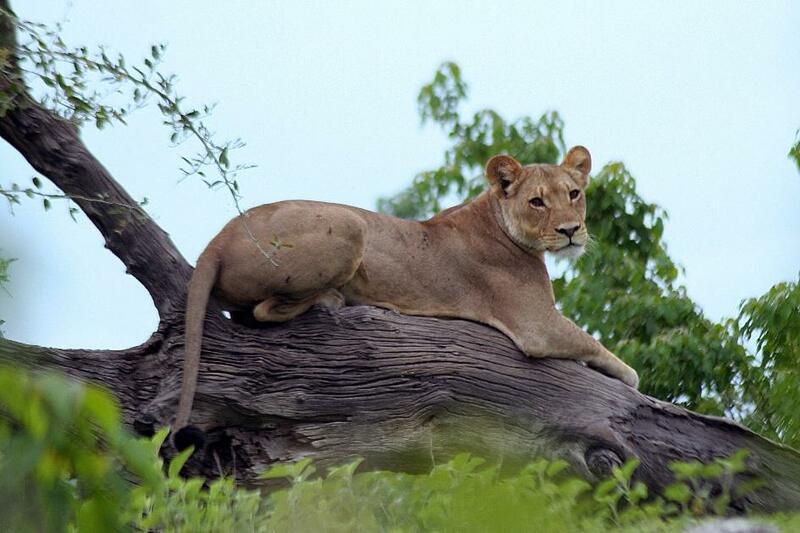 Then there's Selous, comfortably East Africa's largest protected area as it stretches almost 50,000 square kilometers across Southern Tanzania. Remote, raw, resplendent: these three destinations provide a safari adventure for both the first-time visitor and the aficionado. With scale comes a seductive beauty in that while the savannah and grasslands may feel like they stretch for eternity, there is always an intimate scene that unfolds in the foreground. Perhaps a pack of rare wild dogs on a hunt or maybe the trumpeted clash of elephant herds at the river, or the fearful tears of zebra on the run from a lion pride. With this safari, you enter a realm of millions of mammals, but it's often the personal close-ups that are most memorable. While these three parks are big, they are very different from each other. 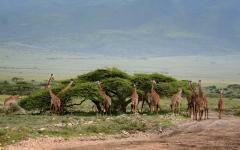 The Serengeti is a land of the great grass plains, the place of migration and infinite panoramas. 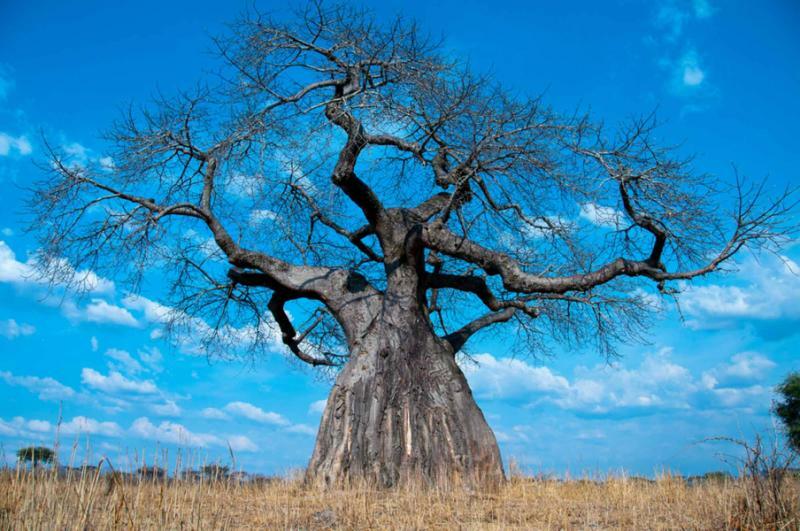 Ruaha explodes with woodlands, wetlands, and deep stretches of the iconic African savannah. 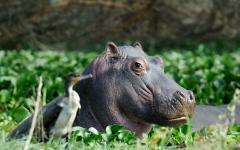 Selous is similarly diverse, but life is mostly congregated around the mighty Rufiji River. This 12-day safari takes you deep into the inspiring wilderness. Start with five days in the Serengeti, including three days at a tented camp as you track the great wildebeest migration. The open grasslands provide a vibrant safari experience where scale is both surreal and sublime. 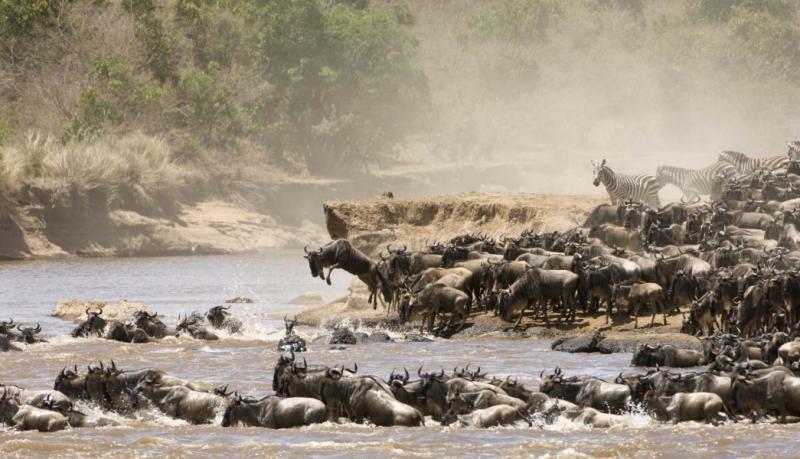 There are no better places in Africa for massive herds and predatory scenes. 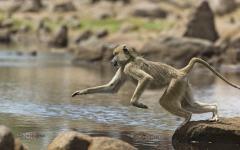 Move next to Ruaha to take rugged trails through thick woodland and savannah. 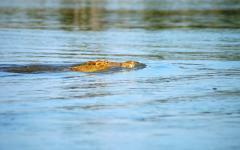 Complete your experience in Selous as boat and walking safaris provide a multitude of angles. Light aircraft connects these three remote and distant reserves to offer stunning aerials and minimize your travel time. Throughout it all, accommodation is in luxury camps to effortlessly blend into the environment and maximize your submersion in the wild. Even though you're thousands of miles from modern civilization, there is an elegance and comfort to these camps in the heart of nowhere. Touch down in the Serengeti and the grasslands feel like they tumble on for eternity. The plains stretch uninterrupted from every angle to blur into the horizon as the hooves of wildebeest create a stealthy mirage. As the your aircraft swoops over the Serengeti, you will be struck with an immediate impression of the length and breadth of the space, which is only expanded by your first drive on the plains. With this vast space comes vistas, and you will gaze across the Serengeti and always see a giraffe neck, an elephant herd or buffalo on the move. Cross an unseen ridge, and you will feel as if you see everything as roaming before your eyes will see hundreds of thousands of mammals, mostly wildebeest and zebra on the move. It is such an incredible landscape at such an immense scale. With a 12-day safari itinerary, this opening day provides a relaxed introduction to help you slow your pace into the landscape's rhythm. After landing at Kilimanjaro International Airport, a representative will transfer you to a light aircraft for the micro flight into the Serengeti. Land and your journey to camp is a game drive as you fill your eyes with the endless grass plains. 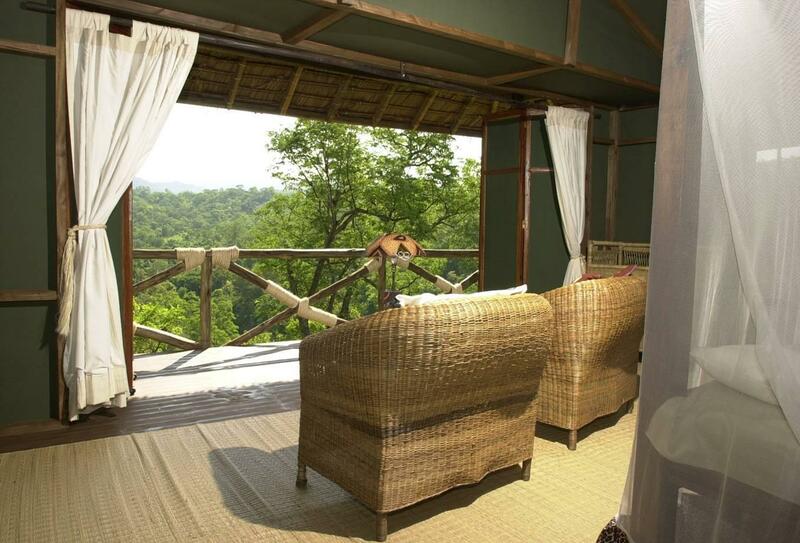 Rest and relax at camp and watch nature unfold you’re your accommodation that blends elegantly into nature. An afternoon game drive is equally laid-back as you stick close to camp to maintain the escapist pace. Predatory scenes play out at dawn as with one quick glance over the plains, you can sense the drama. 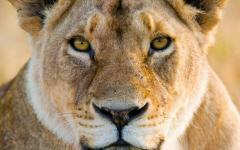 Swirls of dust suggest frightened herds on the move, and you can spot a lion pride in search of breakfast. The Serengeti is one of the greatest places in Africa to spot predatory scenes as the early morning hours provide the best chance to follow the hunt. Lionesses move swiftly to cross the grass as they target a zebra herd. A little later, follow a leopard with your eyes and watch her hide in the grass. 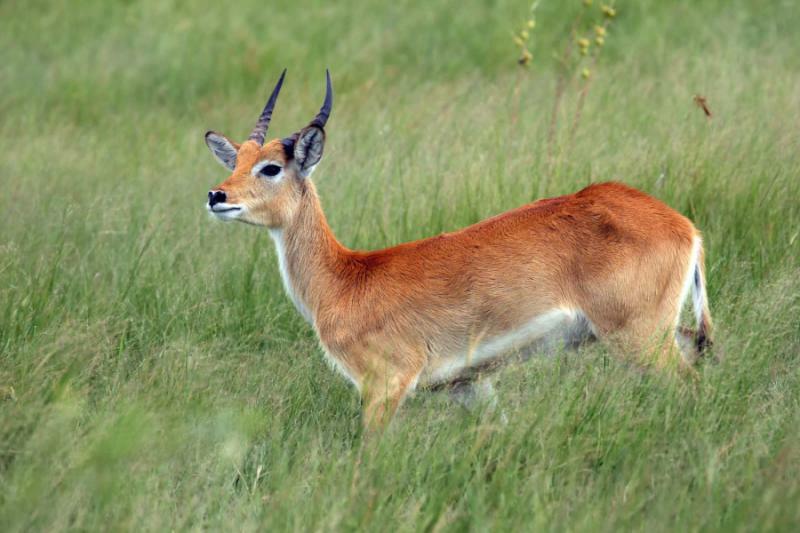 For almost an hour, she will hardly move as she waits silently for the Thomson's gazelle that skip around. All of the sudden and without warning, she will set off with an explosion of power that's too quick to be captured on camera but will always be remembered. A gazelle hangs limply from the leopard's jaw as she scampers away from the scene. On your first full safari day, the focus is likely to veer towards these revered predatory scenes. Choose either a full-day drive or split the day with morning and late-afternoon excursions, both options tailored towards the big cats in hunting mode. Now you are indeed surrounded. 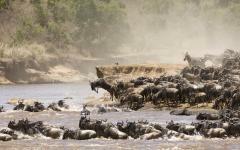 What was yesterday's 100,000 is today's half a million as you come across the great wildebeest migration. With up to two million mammals on the move, the wildebeest circle their annual route across the Serengeti ecosystem. Mobile tented camps are also on the move as you will track the movement of the herds to see what is regularly proclaimed as nature's greatest wildlife spectacle. Your exact location will depend on the time of the year, but the focus will be on the wild adventure found amongst the herds. Lounge on your chairs outside of your luxury camp to watch the animals roam by. After the short flight across the Serengeti, these three days are all about tracking the unadulterated theater. The grasslands stretch beyond the horizon, and there is hardly a meter without a wildebeest. You can hear their hooves, a resonant rumble that keeps you company through day and night. 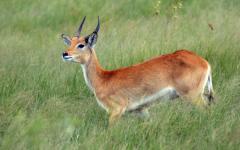 Males are rutting, as they gallop and jerk with a show of power. 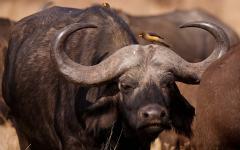 Young and old wildebeest are admired as potential dining options for the big cats who cover the plains. 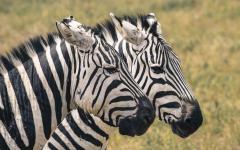 Perhaps ten miles behind the wildebeest are the zebra as their masses of black and white congregate together. Their rumbling noise is more stop and start, like a bass drum that is sporadically beaten with fury. The exact scenes will depend on the month of your safari, but there is always the exciting play between predator and prey. Frightened herds will rampage across the crocodile-infested river as baby wildebeest are picked off by hyena and cheetah. The sight of the galloping herds is stunning as their drumbeat of hooves is accompanied by billowing funnels of dust. Some lion pride rest lazily on the grass and sunbathe as others climb onto the rocks to survey their next hunting excursion. Many are seen on the move as they forgo their clandestine arrival and hunt beneath tens of thousands of scared eyes. There is safety in numbers here, but equally, the herds are so large that the confusion is easily ignited, and ambushes are a daily sight on safari. At times, you will arrive ten minutes too late as the carcass is already being ripped apart by the alpha male. Other times, you will admire the vivid drama of as a kill unfolds. 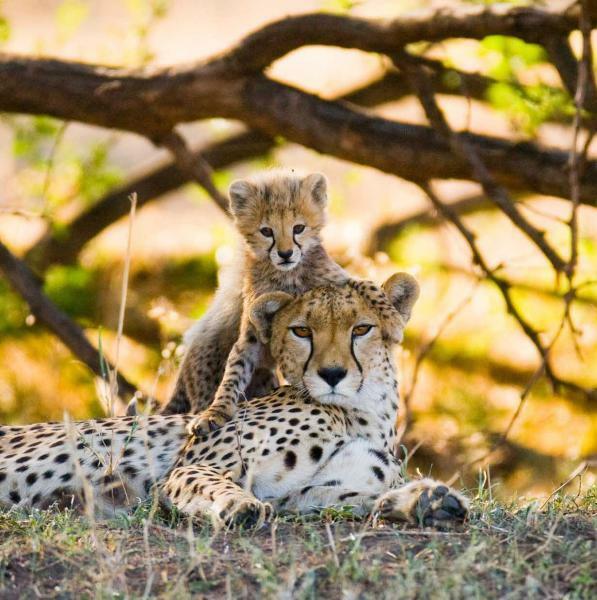 Cheetah sightings are equally impressive, as are the beautiful leopards. Vultures follow the migration and serve as easy compass points as you look for the big cats. It's hard to go more than a few miles without spotting a cackle of hyenas as these predators are most adept as they follow the wildebeest on their journey. The game drive itinerary is entirely flexible during these three days, and it up to you as to how much and how long you want to explore. When you're surrounded by up to a million mammals, it's always best to keep your options open – who knows where the highest drama will unfold? 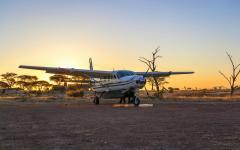 Fly south to swoop across the savannah of Ruaha and marvel at the scale of Southern Tanzania. The great Ruaha River slices through the landscape with its serpentine path flanked by sweeps of thick woodland. Occasionally, the water expands to cascade into a wetland that provides more safari charm. Ruaha covers a similar size as the Serengeti with almost 20,000 square kilometers of protective wilderness. But the panoramas are very different as instead of space; you will enjoy the surprise found around every bend. 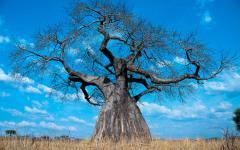 Trees hide packs of wild dog and herds of sable antelope as the savannah opens out into pools of bathing hippos. 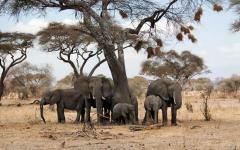 Among the woodland, there are nearly 10,000 elephants that make up East Africa's largest single pachyderm population. 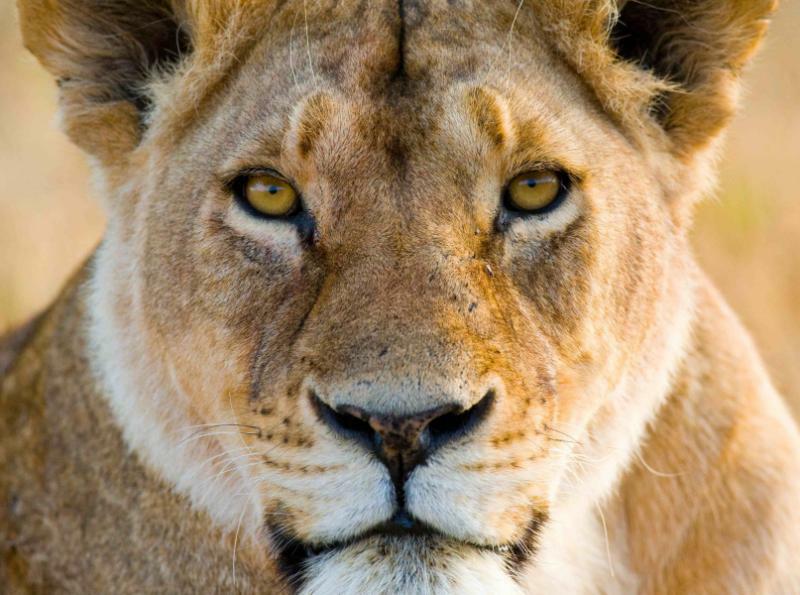 Turn another corner, and 15 lions bask on the rugged trail as the Ruaha is home to some of Africa's largest pride. You will touch down in the middle of the afternoon on a dusty airstrip that immediately imbues a wilderness feel. 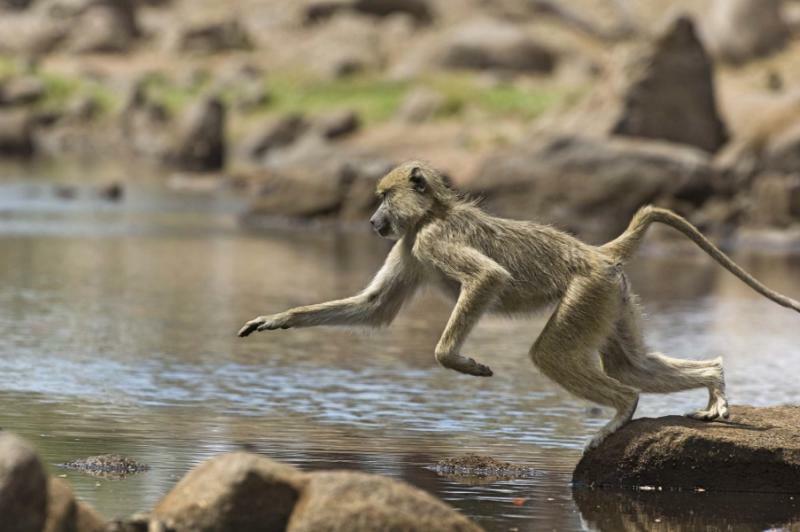 The game drive transfer takes you deeper into the park as you rove along the Ruaha River for an introduction to a vibrant wildlife cast. As in the Serengeti, your luxury camp accommodation maintains the landscape's atmosphere, and you will feel as if you are a part of the park, fully enveloped by the rumbling rhythm of the land. Lion roars echo through the camp at night and grazers are spotted beside the tents. There is always a charming silhouette as you sit by the fire at night. Like the Serengeti, this may be a tented camp, but the accommodation is very comfortable. 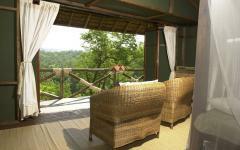 Expect huge beds, ensuite bathrooms, stunning views, and quality dining in the bush. 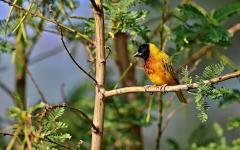 Explore thoroughly as you enjoy full-day game drives, likely without seeing a single other vehicle. 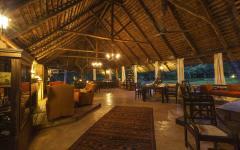 Ruaha is a bit exclusive as its relative inaccessibility helps to maintain a raw and primitive charm. 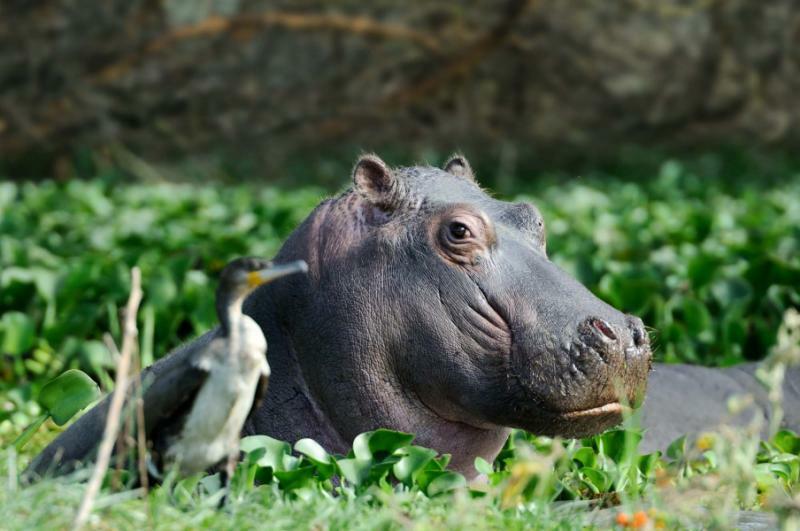 Take a picnic and spend an hour admiring the hippos as you watch the males fight in the mud. 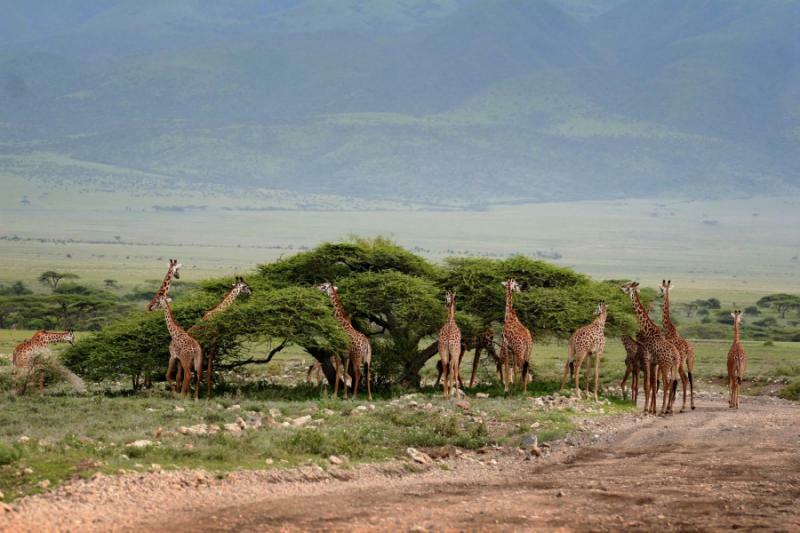 Admire giraffe as they slowly graze past the camp. Lose count of the lions as so many of them fill the flourishing savannah. New animals are ticked from your list, like the raucous storks, kudu, oryx, and sable antelope. While the Serengeti is an expression of a vast grassland ecosystem, Ruaha connects a series of habitats and every turn brings a new and evocative surprise. Sometimes you will see nothing, but then you will turn a corner, and a hundred elephant are scattered around the water. Then it's silent, but as you will look closer, you will see the prints and tracks of the wild dogs amidst the savannah. The pack numbers more than 20 as their beautiful markings refuse to blunt their fearful power. Ruaha is one of the best places in Africa to see wild dogs and your three days spent here will provide an opportunity to see them on a hunt. 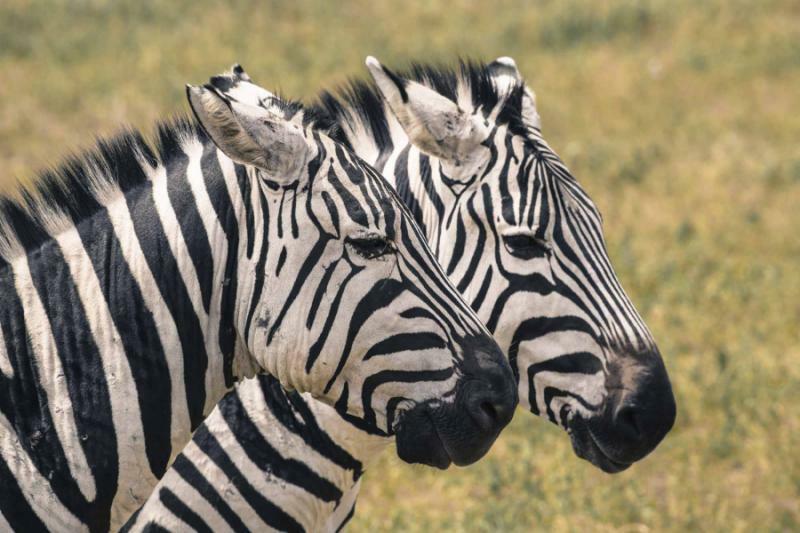 Unusual antelopes abound and there is never an interruption to the wilderness as the game drives sweep around the river to reveal one of Africa's most unknown and underrated destinations. This is a landscape that is yet to be fully documented, which only adds to the enchantment as you explore. The Serengeti and Ruaha are big, but the Selous is on a different level yet. At almost 50,000 square kilometers, it is comfortably the largest protected reserve in East Africa, a mammoth World Heritage site that fills the southeast of the country. After your micro flight, you will spend a day to discover it all from waters of the Rufiji River. 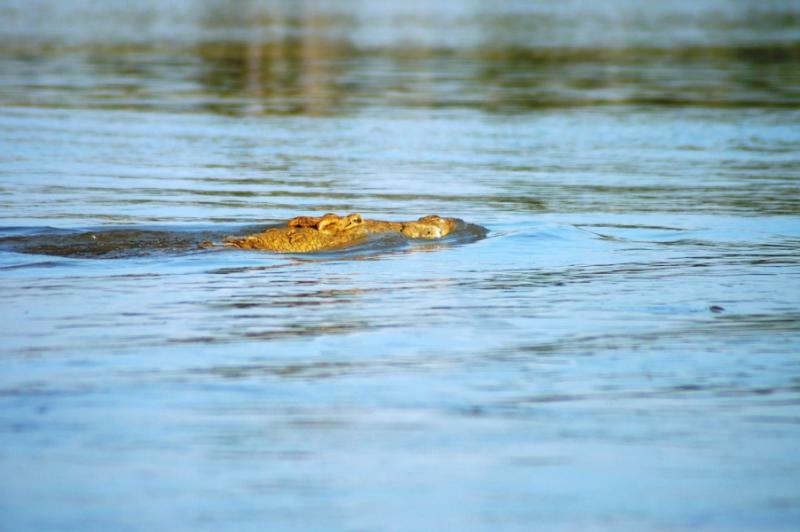 For all of the Selous scale, it is the Rufiji River where wildlife congregates. 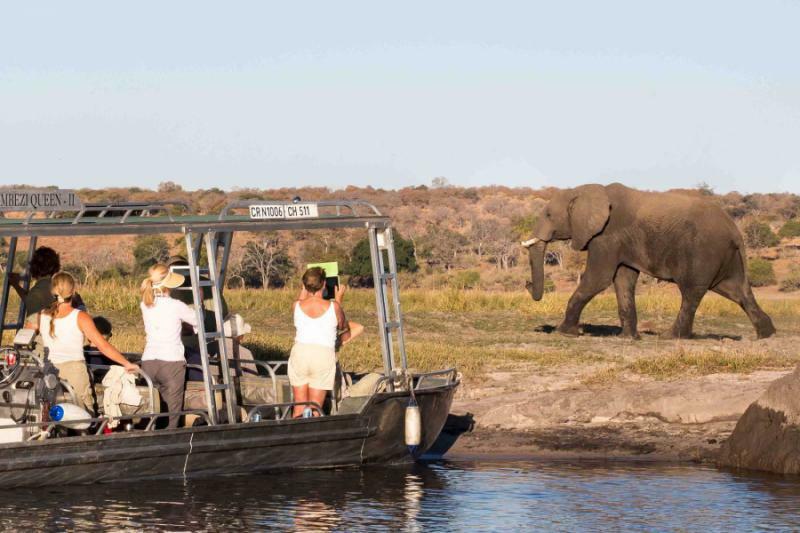 Take your boat along the water to sidestep the hippo pods and admire the pachyderms as they squirt water on the banks. To come this far south in Tanzania is to enter a wilderness far from any traces of human change. Raw and wild, it is an unspoiled land where anything could happen. Roads are rutted and adventurous, so after eight days of safari, the boat trip provides a peaceful way to watch the world unfold as everything must eventually come to drink, so the drama is heightened at the river. 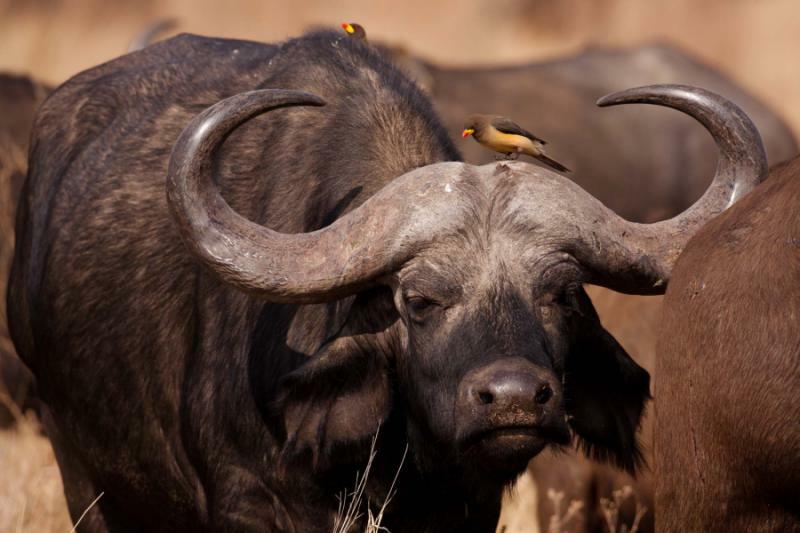 As always, your tented camp is located in a prime big game landscape. Lie down at night and the soundtrack never stops as every moment brings another seductive call from the wilderness. Elephants bathe, buffalos graze and giraffe tower above the trees as you explore on foot. In this vast emptiness, it is possible to take walking safaris to enhance the exclusivity of the Tanzanian experience. 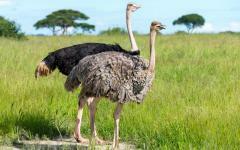 You are just meters away as you admire rare African highlights as you silently walk along. An eclectic array of antelopes are followed as trees rescind to reveal mass grazing herds. Local trackers ensure your safety here as you veer clear of the big cats as you wander through Africa's second-largest safari destination. Like always, the scale in unfathomable, yet it's the intimate encounters that are most memorable. A baby giraffe will meet your eye, a zebra will smile as they rest their necks on another's back, or the bouncing antics of the impala in the wild will amuse you to no end. After the morning walking safari, the itinerary is flexible and the afternoon can be your choice of boat safari, game drive, or another walk. Wake up to your final day in the wild, lost in the ethereal landscape of Selous. 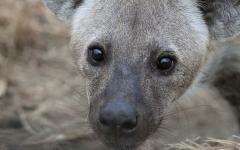 Barks alert you to wild dogs as the fabled hunters reveal their frightening teeth. A lion pride sips from the river to cause some buffalo to change their path. Hippos grunt as they cross the grass while a myriad of monkeys crosses the trees. Stop for a picnic beside a troop of baboons, and then cruise past a leopard by the river to lose yourself in the evocative rhythm of Southern Tanzania. Selous completes the transition from open grassland to dense and surprising savannah, where the sights come at random when the visibility is restricted. 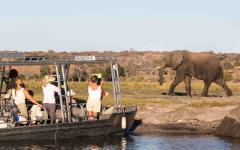 Today is completely flexible, and you can create a private program of boat safari, walking safari, and game drive. Soar across Southern Tanzania for a final time as the landscape spans beneath the wingtips. The micro flight takes you to Dar es Salaam, Tanzania's biggest city, where a representative will help you transfer to the international terminal and your intercontinental flight.